Religious Right legal groups gathered at the Heritage Foundation on Tuesday to talk about their hope that the Supreme Court will weaken state constitutional provisions on separation of church and state and make it easier for churches and other houses of worship to get direct government funding. The Supreme Court is scheduled to hear arguments on Wednesday in Trinity Lutheran Church of Columbia v. Comer (formerly v. Pauley); the Court had postponed arguments last year when a seat was vacant due to Republican senators’ refusal to act on Barack Obama’s nomination of Judge Merrick Garland to replace the late Antonin Scalia. A collection of Religious Right leaders will rally at the Supreme Court on Wednesday morning as the argument gets under way. 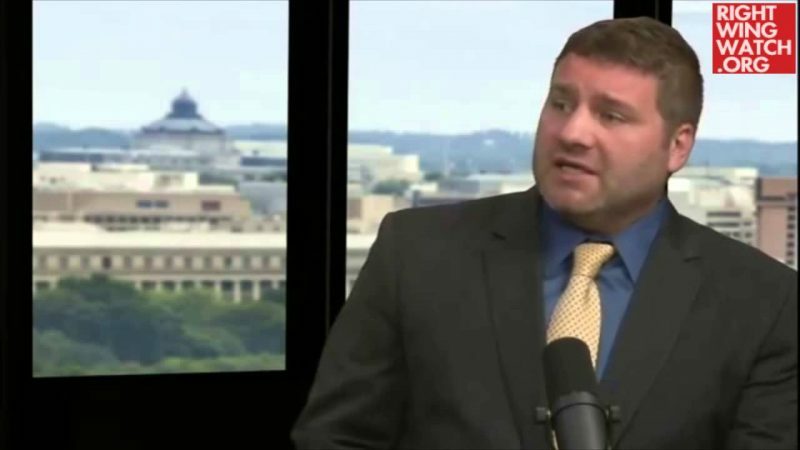 Among those scheduled to take part are the Faith & Freedom Coalition’s Ralph Reed, Concerned Women for America’s Penny Nance, the Family Research Council’s Travis Weber and the Heritage Foundation’s Jennifer Marshall. Also participating will be Hillary Byrnes, assistant general counsel for the U.S. Conference of Catholic Bishops. Statements will be read on behalf of Senator Ted Cruz and Reps. Trent Franks, Bob Goodlatte and Vicky Hartzler. The case involves a Missouri grant program to improve organizations’ playgrounds. Trinity Lutheran applied for a grant for its religious school playground. Approving the request would have violated the state constitution’s Establishment Clause, which explicitly prohibits government funding of churches directly or indirectly, and which also specifically prohibits funding to help or sustain a religious school. So the state deemed Trinity ineligible for a grant. Trinity claims this violates its Equal Protection and Free Exercise rights, painting state Establishment provisions as unconstitutionally targeting religion for disfavored treatment. Trinity erroneously claims the federal Establishment Clause allows a direct grant in this case, so the state has no compelling reason to justify its differing treatment of churches. However, direct grants to churches are clearly against the meaning and intent of the U.S. Establishment Clause. 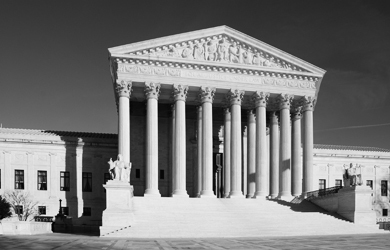 If the Supreme Court rules for Trinity, it could mark a substantial erosion in the wall of separation between church and state, and it could undermine establishment protections in numerous state constitutions. People For the American Way Foundation joined an amicus brief authored by the ACLU noting that America’s founders recognized the danger of having government use its taxing and spending powers to favor religion or particular religions, and that direct grants to houses of worship open the door to such abuses. But Religious Right groups, who were thrilled that Donald Trump chose Neil Gorsuch from a list hand-picked by the right-wing Heritage Foundation and Federalist Society, have hopes that now-Justice Gorsuch will push a constitutional interpretation that would in essence require state support of churches and other houses of worship. 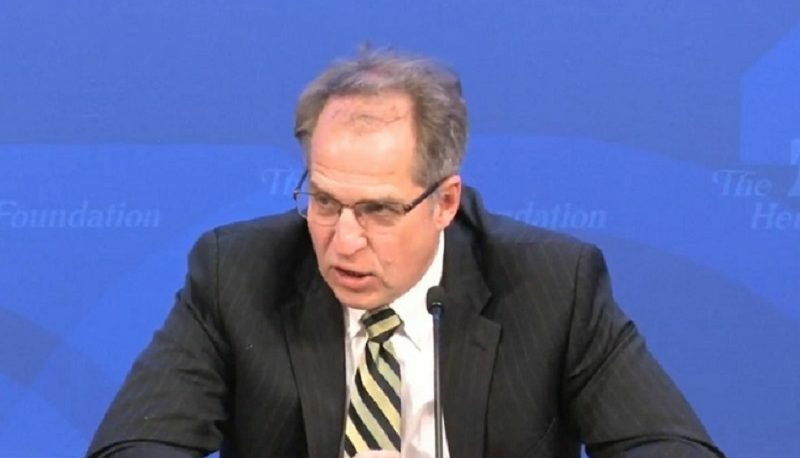 On Tuesday, the Heritage Foundation hosted a panel with lawyers from three major Religious Right legal groups: the Alliance Defending Freedom (ADF), whose David Cortman will argue the case; the American Center for Law and Justice (ACLJ); and Becket (formerly known as the Becket Fund for Religious Liberty). Becket’s Hannah Smith started the panel with a review of so-called Blaine Amendments, a term used to associate state “no aid” provisions with anti-Catholic prejudice prevalent in the mid-19th Century. She argued that the term “sectarian” is simply a code for anti-Catholic bigotry. The ACLJ’s Walter Weber, introduced as a former staff attorney at the Catholic League for Religious and Civil Rights, talked about the applicability of the Locke v. Davey case, in which a 7-2 Supreme Court ruling upheld Washington State’s policy to deny the use of a state-funded scholarship for people studying for the ministry. In that case, the Court gave states flexibility to deal with “the play in the joints,” a reference to tensions that can arise in the space between what the Free Exercise clause allows and the Establishment Clause forbids. Weber, who disagreed with the Court’s ruling, said that there were some “saving graces” in the ruling, stating that it was written narrowly in regard to funding religious training of clergy, something Weber said would not be applicable to the question about funding for a playground. Jordan Lorence, representing ADF, said he is confident that the Court will not allow the principle in Locke v. Davey to be expanded to such a situation. 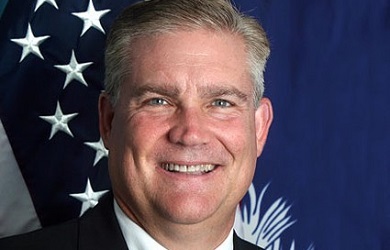 He said he hopes the Court will say that states cannot use religion as the factor to exclude churches or other organizations from participating in publicly funded programs. In response to a question about Gorsuch from the Heritage Foundation’s Elizabeth Slattery, who moderated the panel, Smith praised Gorsuch’s “very solid record” on religious liberty issues and said she believed he would be “quite favorably disposed” toward the challenge to Missouri’s rules. Just before the panel started at noon on Tuesday, lawyers involved in the case filed their response to a question from the Supreme Court about whether the case was moot and should be dismissed given a recent announcement by the state of Missouri that the state was changing the policy at issue to give Trinity Lutheran what it is asking for. Religious Right groups are hoping the Court will hear the case anyway in order to further pry open the constitutional door to direct funding for religious institutions and undermine constitutional provisions like Missouri’s in other states. Lorence said the ADF is arguing that the case is not moot.